Choosing who you want as your bridesmaids and maid of honour can be a stressful task. You want both the people closest to you and the people that will do the best job. However, sometimes there are too many people to choose between and this may cause offence. At the end of the day, it is your day so choose the people you want up there with you and not the people you’ve been pressured into choosing. If you are not particularly close to your family then this wont apply, but if you are and you or your partner have sisters, I’d really think about asking them to be part of the wedding. They are nearly guaranteed to still be a big part of your life when you are looking back at photos in years to come. As well, its a nice idea to have your partners sister be a bridesmaid, to bring your families together in a really special bonding experience. If you ask someone to be a bridesmaid you can’t go back on it. It’s really important you double and triple think about your decision before you commit to anyone. It can be easy to get caught up in a moment and ask your close friends or family members before you think through it, so try to avoid this and have a proper conversation with your partner first. 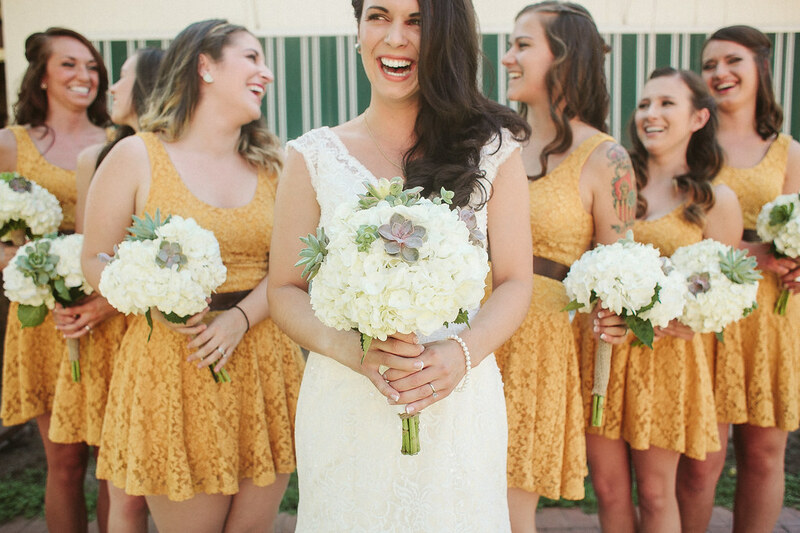 The average number of bridesmaids is four, but it really differs for everyone. When deciding on how many bridesmaids you want to have, take the size of your wedding party into account. The smaller your wedding is, the less bridesmaids it makes sense to have, and the bigger it is the more you can have. You don’t want half the guests up at the altar. The more the merrier doesn’t really apply in this situation, the more you have, the more work you’ll have to do, so take this into consideration when choosing how many you want. Just because someone asked you to be their bridesmaid does not mean you have to return the favour. It may have been years since you were in their wedding party and you don’t know them as well anymore, or maybe you just have too many people already. Either way, it’s your day so don’t get bogged down in how everyone will take it.